Want a trustworthy web designer/developer? Finding a web designer that you can trust and build a relationship with is not an easy task. If you are looking for reassurance that we are the right web design company to get to handle your website project, read some of these testimonials from past clients and ‘hear from the horse’s mouth’ about their experience in dealing with us so you can be sure you’ve made the right decision in choosing Hodgeman Web & Design. Read some quick quotes to the left and click on each sub-heading below to read in full what each client had to say about working with Hodgeman Web & Design. Adrian's done a brilliant job on both our sites, American Customs and Classics and Straight Up Wheelies. He's efficient, technically knowledgable, very quick to respond to tweaks and requests and best of all, his work shows a great sense of style. We've been impressed by how quickly he understood our brand and came up with both creative designs to display our products and clean and clear ways to display our services. He comes highly recommended from us! 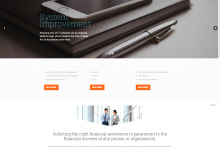 Adrian built a fresh new look website for us in 2014 and the results are simply amazing. We are now on the 1st page of google which is an outstanding turnaround from our old website. Our bookings have increased considerably since our new site went live and as a result we are spending less on google ad words. 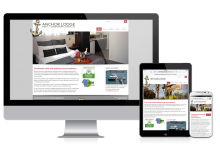 Our website is user friendly and easy to navigate around so potential customers can see exactly what buttons they need to click to book or view photos of rooms. 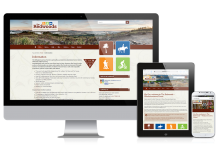 I can highly recommend Hodgeman Web Design for your new website. 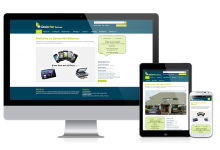 We had worked with Adrian previously so did not hesitate to contact him with a request for a new website. Adrian quickly understood the design we wanted and was readily available to discuss any changes we needed along the way. The project has run smoothly and we are very happy with the result. Hodgeman Web & Design is competitively priced and we would recommend Adrian for your website design. "Hodgeman.....thanks from the Harbott's, you're the man!!!! What can we say ...professional, innovative and flexible! you were great at understanding our layman web-language, and were able to transfer this to an effective and vibrant website. You understood our brief and were able to create and design our website, brochure, logo basically in your first concept! Very affordable quote and well worth every cent spent. Thanks for your patience and we look forward to continuing our web-friendly relationship with you"
Fantastic!! 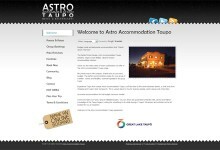 Thank you so much for the "new look" Astro Accommodation Website. Fast, no fuss, from start to finish. Original and economic to boot! Going "live" was made so simple, for this we are most appreciative. 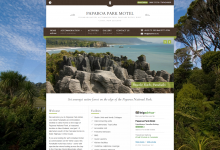 We have highly recommended you to other operators in the Taupo region, whether they need a website or not. We chose Adrian to design our website as he was informative right from the on-set. Although we knew what we wanted to achieve (a fresh, modern and interactive website) he offered us options and made it easy to make a decision on how best to proceed. He understood our business and our area of expertise and incorporated the rural theme into the design. It was a stress-free, relaxed project and we are very happy with the end result. 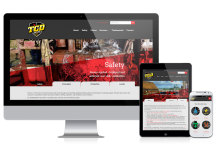 The website itself is extremely easy to update and is responsive so opens perfectly on a tablet or mobile. I would happily recommend Adrian Hodge to anyone thinking of updating their website, he's experienced, professional and doesn't cost the earth. We are more than happy to recommend Adrian following his construction of our new website, and especially so to other accommodation providers. Professionalism + Patience + Photography ! Just what we were looking for and very hard to find in one package. Much extra time, thought and attention to detail was put into this project - great suggestions and a collaborative exercise all round. We are really thrilled with the result, which is even better than anticipated and well worth the very reasonable cost. Several related IT and technical issues arose during this process which Adrian dealt with promptly and efficiently, and we are so appreciative for his expertise in areas completely unfamiliar to us. Thanks again Adrian, and very best wishes for your future enterprises. We observed some of Adrian’s work with another Trust and decided to ask him to work with us on revamping our website. We weren’t disappointed. 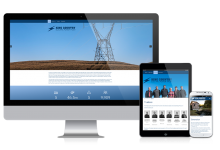 He worked closely with us over a number of months, listening to our requirements and then using his excellent skills in photography, along with a drone, he put together an attractive, refreshed website. Adrian was easy to work with; he listened to us but used his own imagination to come up with a website that demonstrates who and what we are. We would recommend him to other organisations similar to ours. We are all really thrilled with the prompt efficient service that you have provided to us. We are absolutely gob smacked with the web design, thrilled with your ideas and concepts etc. Our office administrator also said that you were very helpful with assisting her to prepare some of the content for the website. Overall we are stoked with quick timing and fantastic product. Super happy with our new website - looks great and most importantly coverts browsers into sales. He got our brief and the exact look and feel we were after straight away and the entire process was really smooth and painless! It is a pleasure to provide this testimonial for Adrian Hodge to help promote his website design business. There is an old saying that "Actions speak louder than words" and to demonstrate Adrian's skill and ability in creative Website design I would simply refer you to our website which has been his creation. 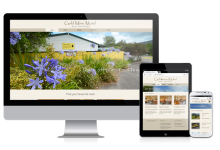 When dealing with enquirers about accommodation at our Motel I'm delighted on many occasions to hear the positive remarks about our website. 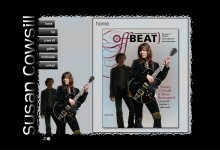 People find it very user friendly, pleasing to the eye and easy to navigate through. I would have no hesitation in recommending Adrian to you for a consultation. Allan - I cannot recommend Adrian Hodge highly enough. The service has been fantastic, every step of the way. Always there and fast to respond, even on the weekend! If you're reading this and thinking about having Hodgeman do some work for you... do it! I'll bet my camera you won't regret it. Alick - I have found the whole experience very painless, As Allan Ure my business partner has dealt with most of the re-development. Nothing has been a problem even when there were issues to resolve, none of which Adrian created. 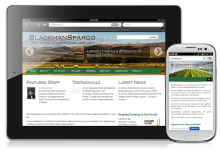 I have recommended Hodgeman.co.nz to a number of my clients and will continue to do so. "Outstanding"!, is only one word to explain the better than expectation service. One of the good guys. 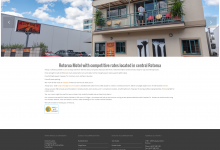 We are extremely pleased with the website that Adrian has developed for us. Pumicelands is the organisation responsible for oversight of rural fire management by district councils, large forestry companies and the Department of Conservation in the Central North Island. 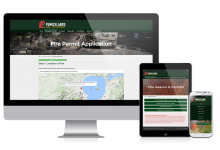 We required a simple-to-use website that not only looked good but also involved some pretty sophisticated systems built into it for our many stakeholders to issue fire permits and provide information to the public. Adrian quickly grasped what we wanted, had the technical skills and was really great to work with in achieving this. 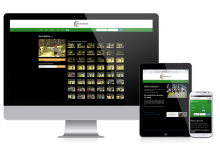 I am 100% happy with the work that Hodgeman Web Design did for us by creating our website. Adrian built a very clean, fresh and functional site under extreme time pressures in order for us to launch our event to the Australian market. The price was fair and I would definitely recommend Hodgeman Web Design. Our experience with Hodgeman Web Design has been extremely smooth in the design and build of a new festival website from scratch. Right from the outset the approach was genuine and considered. 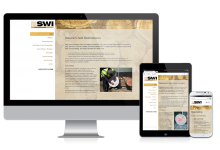 Features which made this website build the smoothest I have ever been involved in include clear communication and translating ‘tech’ language into simple talk, as well as a focus towards maximising conversion and employing smarts when ‘easier’ options existed. Nothing is a ‘problem’ or ‘too hard’ and the responsiveness to even the most unreasonable task timeframes was lightening quick. First grade designer and developer, I would strongly recommend Hodgeman Web Design for any website project large or small. 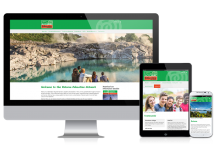 Adrian was required to produce an operational web site in less than three weeks, and with specific features that would be beneficial to the SeniorNet readers. He did this exceedingly well. To date there has not been a single complaint about the construct or content of the web site. 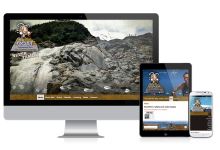 The special features included a corporate logo and colour scheme, larger font sizes and the ability to increase screen font size, simplicity and clarity of layout, and most importantly an interactive calendar which contained notifications of forthcoming events. 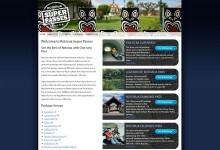 This feature has worked really well and is central to the coherent operation of the Rotorua Senior Net syllabus. Best of all he did this to a very reasonable quoted cost. And finally the web content can be updated or modified by a relatively unskilled webmaster due to choosing WordPress. We came to Adrian with not much more than the overwhelming desire to refresh our dated website; we were blown away by the value we received from Adrian’s services, he was able to deliver above and beyond our expectations! 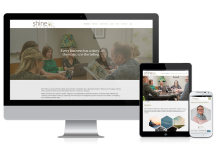 The continual tweaks and questions we bombarded Adrian with never phased him and he helped us to make our new website a streamlined and fast process. Adrian took control of everything from design to photography, having everything as a one-stop-shop saved us time and there was no compromise on quality. We have thoroughly enjoyed working alongside Adrian, who is incredibly talented. Adrian’s fresh ideas and creativity helped build a perfect site for our needs. We approached Adrian in the first place because he is local and has great testimonials on his website. We chose him to re-design our website as he was prompt to reply to our initial query and didn’t cost the earth. He understood our requirements, completed the job promptly and made the project stress-free. 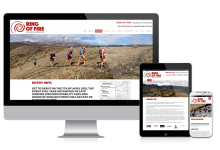 We are very happy with the end result and would happily recommend Adrian Hodge to anyone thinking of updating their website. 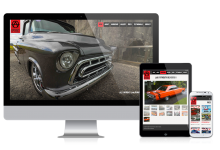 This is the second project I have placed with the Hodgeman Web & Design / Red Spot partnership and I am about to give them a third. These guys have a way of getting to the core of your business message and enhancing its credibility for the net. They ask the right questions and they really listen to your needs. 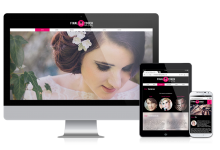 They are fluent in both the technological and psychological aspects of web design, which really gives them the edge. We love our new website – its tells our story at a glance. That’s magic! 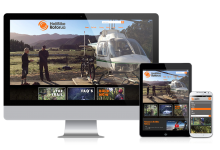 Hodgeman Web Design have been superb from our first encounter. They offered a professional work service with prompt and creative abilities with a friendly manner. They have implemented our new website in amazing time frames and we are totally happy with the results and process we are now receiving from this upgrade. We highly recommend Adrian and his company to any person, party, company looking for a superior service.